The 32nd Pankower Frühlingslauf (official website)was my eighth race this year. A beautiful cross-country course, 2.5 km to be repeated five times (12.5 km the total length), with a small uphill to increase the selection. I classified second, with a time of 0:45:45, behind the (very!) fast Niels Bubel. Another good result after the 24th Lauf im Britzer Garten. The track season is ready to start and I can’t wait to join the first steeplechase race. Below a picture of the podium and the final classification. Here the GPS-track on the new Sport Tracks cloud service. 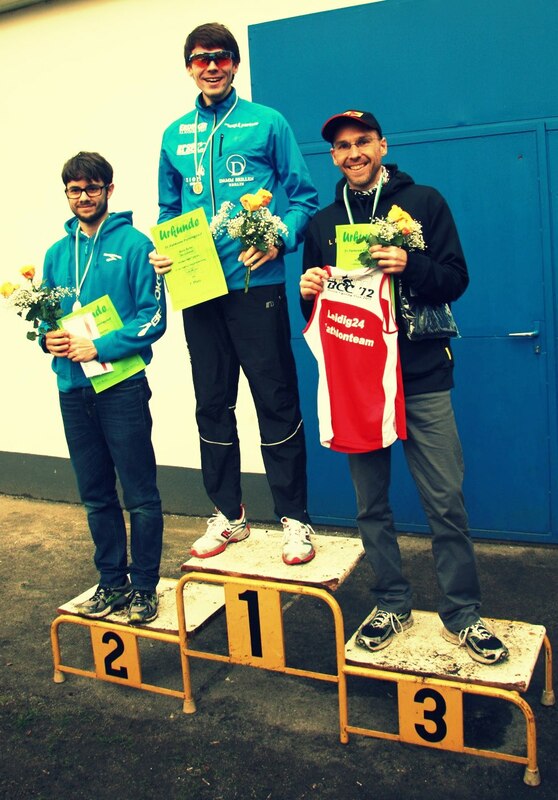 The final podium of the 32th Pankower Frühlingslauf (Photo Niels Bubel). The official results of the 31st Pankower Frühlingslauf.